Motorcycle Touring - defined as "a journey for business, pleasure or education often involving a series of stops and ending at the starting point". I define motorcycle touring as the best possible way to see and experience the world. Touring on a motorcycle is the greatest adventure - knowing where you are supposed to end up at the end of a day, but not having any idea what lies between your starting and end points. While some folks like to take the motorcycle out for day trips, returning home at the end of the day, I much prefer to go somewhere. 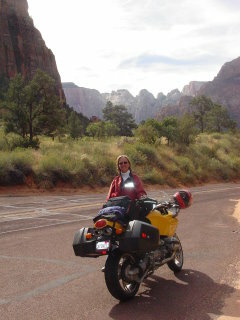 I like to travel - I love Motorcycle Touring. In the States, we have ridden the motorcycles through much of the country - the east coast, from the Hudson Valley up to Maine - the great western states, Colorado up through the coast of Northern California - through the Smokey Mountains, the Adirondack Mountains, the Green Mountains of New Hampshire, the Rockies. I have been amazed by the beauty of this country, while on my motorcycle. If you are at a loss regarding where to plan your next motorcycle trip, check out Cool Bike Rides. The site was designed by a rider who was looking to share his experiences with others. If you're looking for a place to explore, find your next ride here. 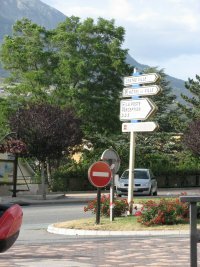 I also recommend Open Road Journey - designed to help motorcyclists find great roads and routes throughout the world using a combination of GPS, interactive maps, and other technologies. 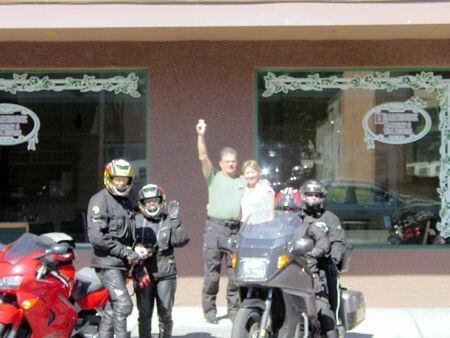 They offer routes all over the US so we will appeal to a great deal of motorcyclists. And, don't be discouraged about touring an area of the country far from where you live. Consider shipping your motorcycle to your destination, and flying. You save travel time not driving cross country, and you get more time on the motorcycle traveling through a completely different area of the country. Definitely a WIN WIN situation. 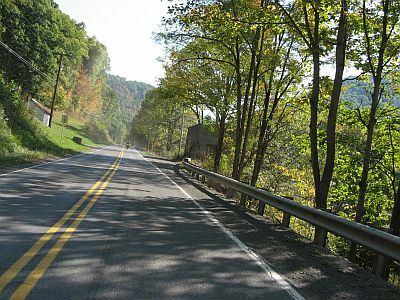 Traveling along U.S. 219 Robert C. Byrd Scenic Highway and Pocahontas County in the great state of West Virginia. One of the more memorable trips in the States, the Grand Circle Tour, involved several national parks, some really big rocks, nice sweeping curves, and motorcycling through Utah and Colorado. Ride along with me through Idaho and Wyoming on the Northwest Passage, and watch a video of me riding through Lolo Pass! Throw in a few really great National Parks, wonderfully scenic roads, a geyser or two, some bears, great beef and raging rivers, and you've got a really great motorcycle vacation. Motorcycling through Big Sky Country! 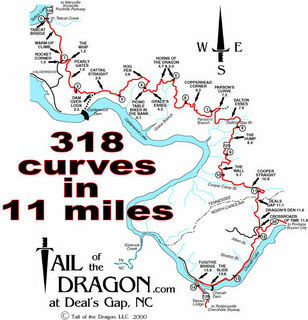 Deal Gap - "The Dragon"
The Dragon boasts 318 curves in 11 miles and many, many changes in elevation. I rode this road twice in one day, and I must say - it is the ultimate motorcycle road. The Great Roads of the United States of America where our readers are riding their motorcycles! Share your "Great Road" with Her-Motorcycle with the details of your road - or route - or area that you think is great for motorcycling. 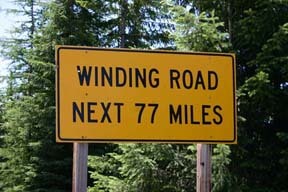 The USA is, so vast, and filled with wonderful roads - some scenic, some challenging, some just wonderfully curvy. Let's live vicariously through each other - come on - Share! Great curves, rolling hills, not a lot of traffic at all, country scene w/rural thrown in. The Three Sister Hwys in Hill County of Texas! The Great River Road on the Borders of Minnesota and Wisconsin. Learn to Listen!!! This Ain't the Lost Sea!! !